Selecting Blind Controls: Corded, Cordless or Motorized? If you have never purchased blinds or have not done so in a great while, it's easy to get overwhelmed with the vast amount of choices available to you. What style blind or shade? What color? Measurements? And, finally, what type of controls will best fit your needs? Controls refer to the lift system that allows you to move the blinds up and down as well as giving you a method to tilt the slats of the blinds as your lighting needs change. New options have emerged in the past several years, giving customers an opportunity to get optimal use of their new blinds in any room of their house. Since the first Venetian blind, the most common way of raising and lowering blinds has been through the use of a corded system. 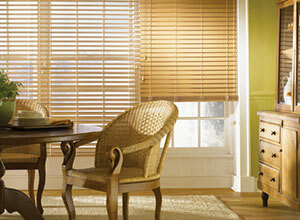 The slats of the blinds are threaded in a way that allows the cords to operate as a pulley. In recent years, corded blinds have also incorporated a continuously looped cord to control the up and down motion of the blind. Because the length of the cord never changes, you will not have to wrestle with blinds that go up and down unevenly. To one side of the blind, there are pull cords that allow you to adjust the tilt of the slats. In some instances a tilt wand replaces the pull cords. 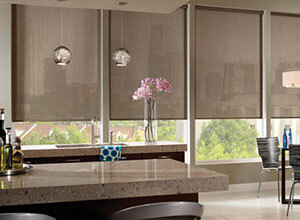 The advantages of using a corded blind control are price and simplicity. One downside of corded blind controls is that they can present a safety hazard to small children and pets. A second potential pitfall for the corded control is the difficulty presented in raising and lowering blinds over large windows - the weight of the blind may make the process difficult. Corded systems can also present difficulties when used to cover windows in difficult to reach spaces. The name says it all about this type of blind control. A cordless means of raising and lowering blinds is a popular choice for those with children and pets.  The blind is controlled simply by pulling or pushing the bottom rail of the blind. 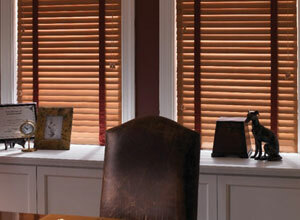 The cordless option gives your blinds a streamlined, clean look. If you have side-by-side windows, cordless blinds are easy to adjust so that the blinds sit at the same height. As with the corded system, however, this may not be the right choice for a very large window or for a window you cannot easily reach. Another option that is kid and pet friendly is to consider purchasing blinds that work with a remote control. This control system can be installed to allow blinds to open top-to-bottom or bottom-to-top and, in the case of slatted blinds, you can adjust the tilt of the slats with the remote control as well. Motorized blinds are especially convenient in rooms where you routinely manipulate the blinds on every window in a room, as in a home theater or bedroom. If your home or office is equipped with a touch panel that controls lights, fans and other features, it can be set up to operate your blinds as well. Another convenient feature of using motorized blinds is the ability you have to set them to automatically adjust each morning and evening. With such a variety of options, you can find blinds that not only fit your budget, address safety concerns and still meet the demands of any room in your home, no matter how challenging.